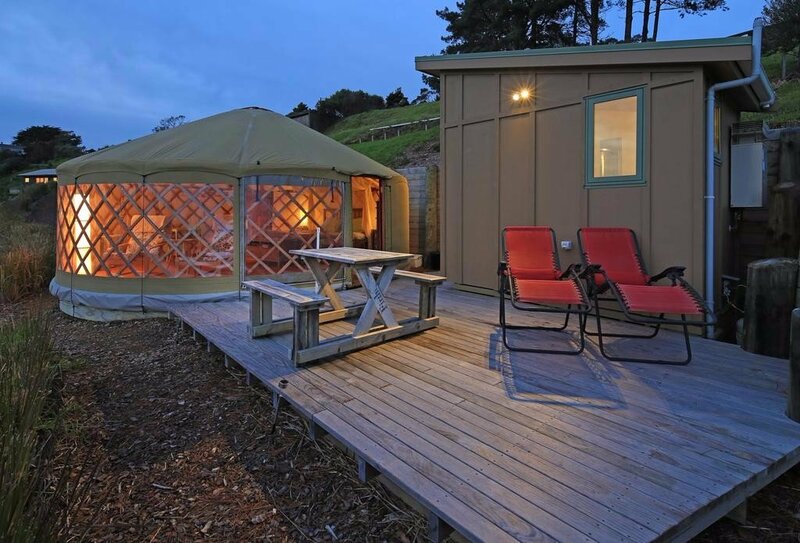 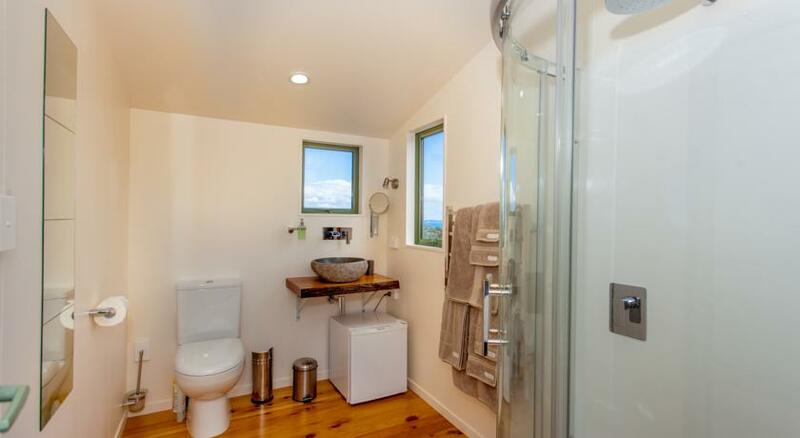 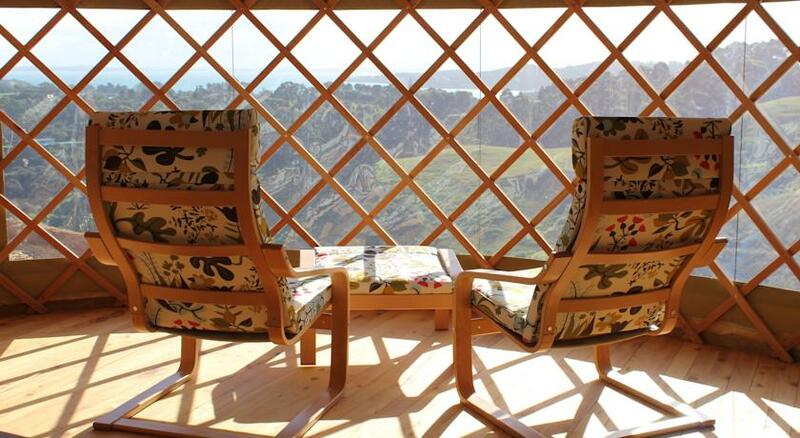 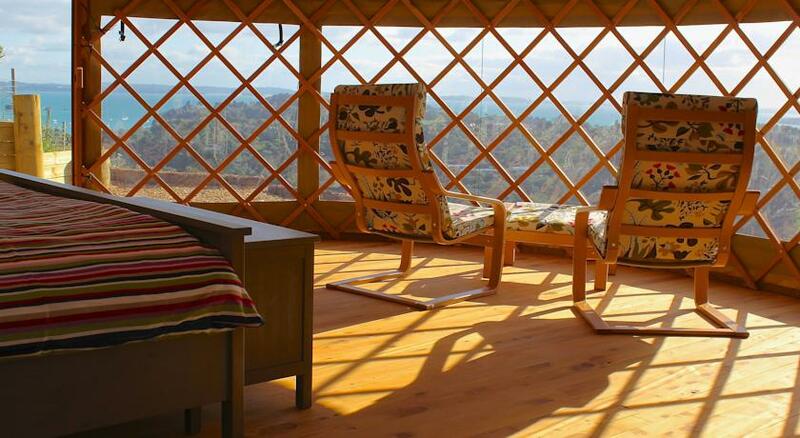 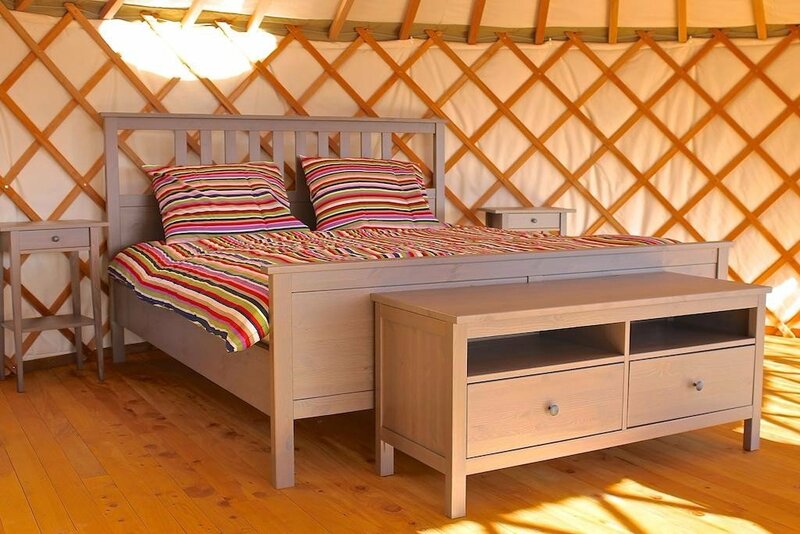 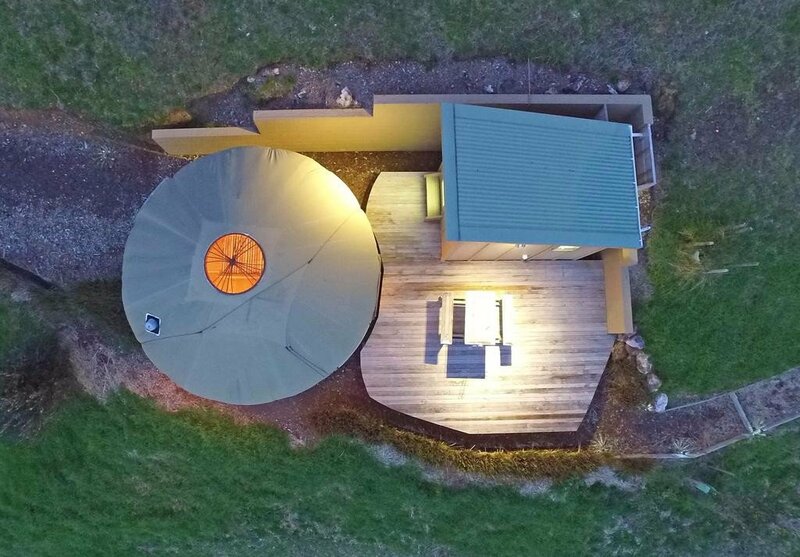 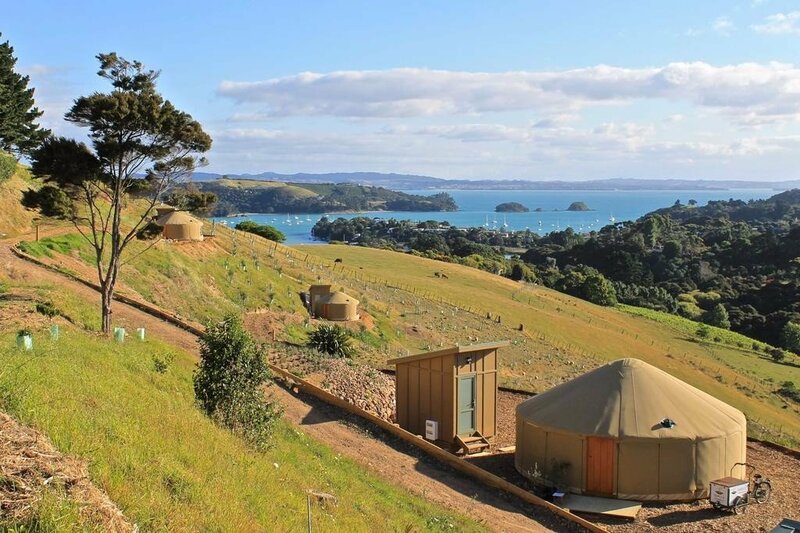 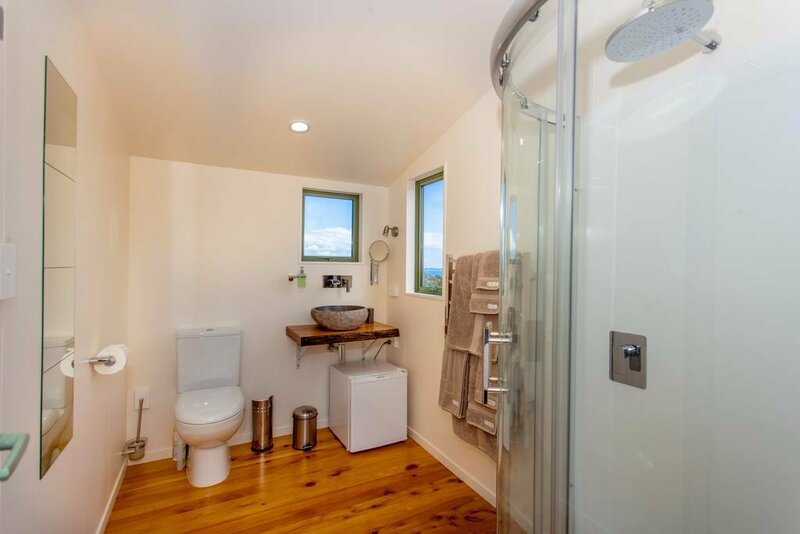 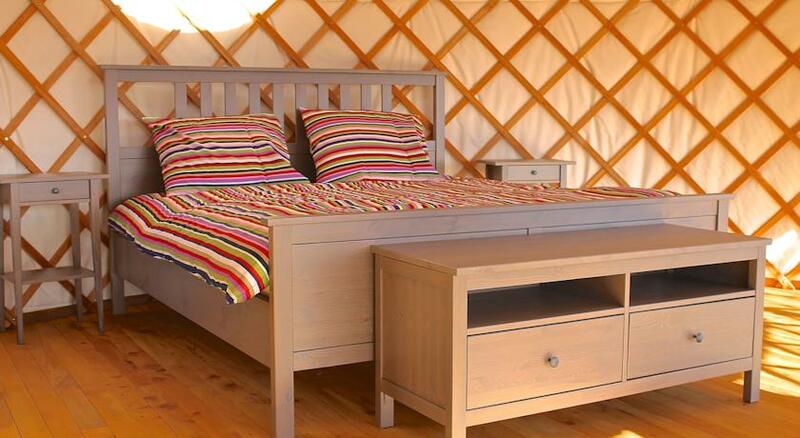 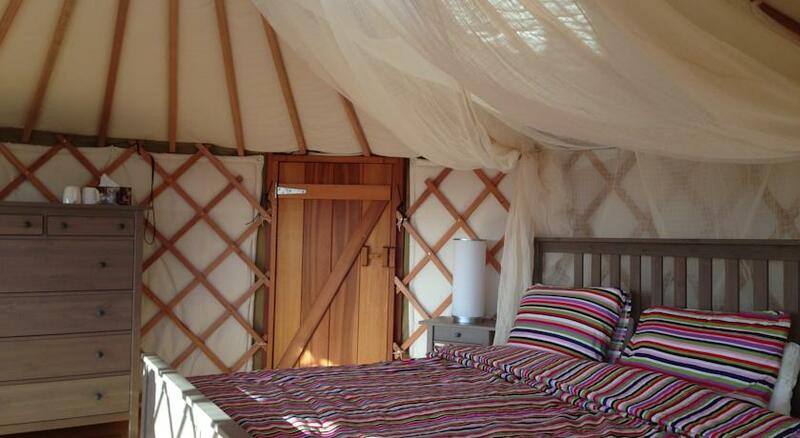 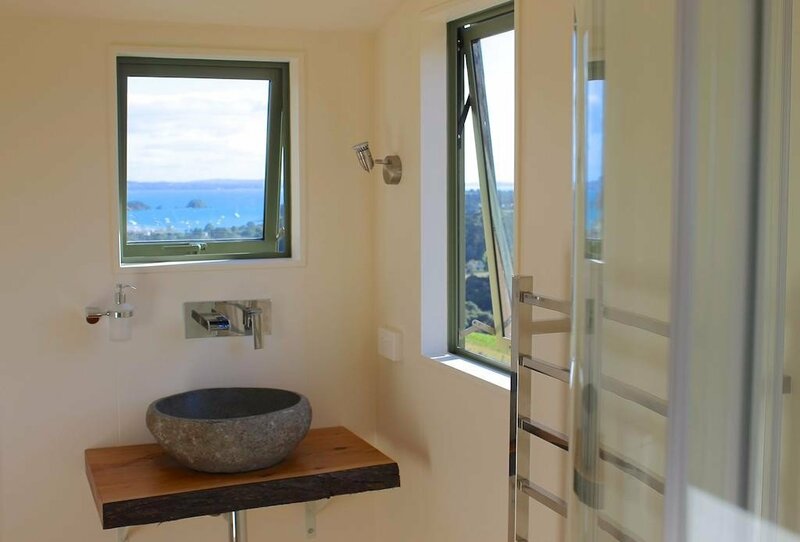 Papa Yurt at the Terraces is a peaceful glamping farm stay which sits on a hill on Waiheke Island, just off the coast of Auckland, New Zealand, and commands gorgeous views of Putiki bay below. 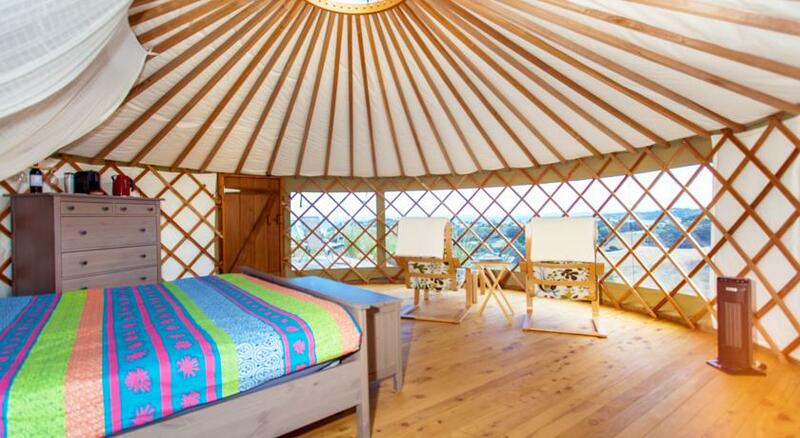 It has a range of luxury yurts to stay in, all of them spacious and clean, with a roof that can be opened up to see the stars, or left closed depending on the weather, a private bathroom with a rainforest shower, a small lounge area, WiFi, a coffee maker, and a private terrace at the front which has reclining chairs/sun loungers and a picnic table. 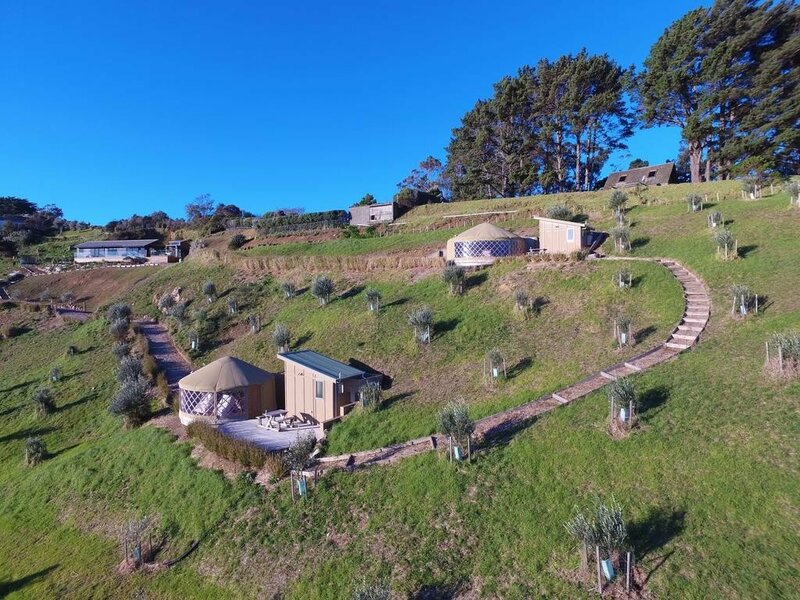 In all the property has 9 acres of land on which there are over 600 olive trees, a fruit orchard and a vegetable garden. 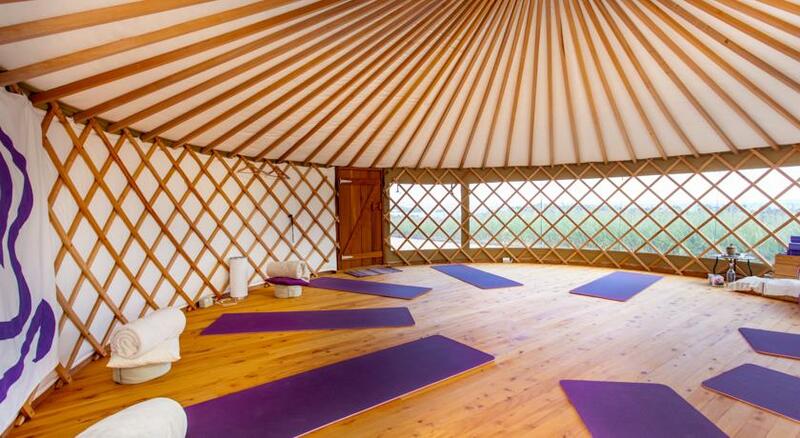 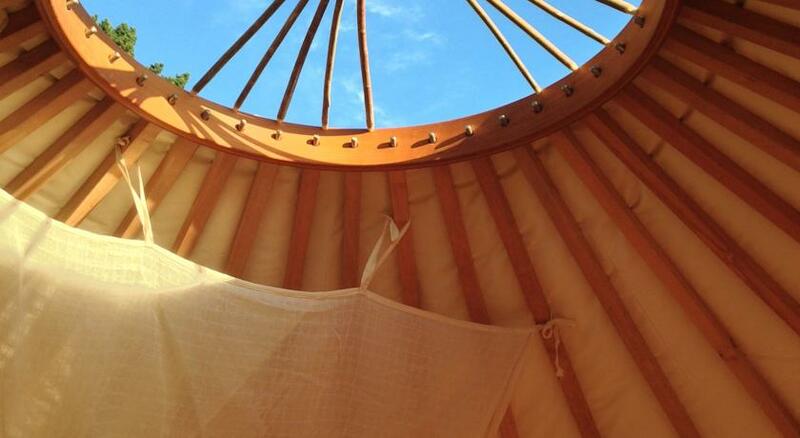 They also have a yoga yurt on the grounds where both private and communal sessions can be arranged. 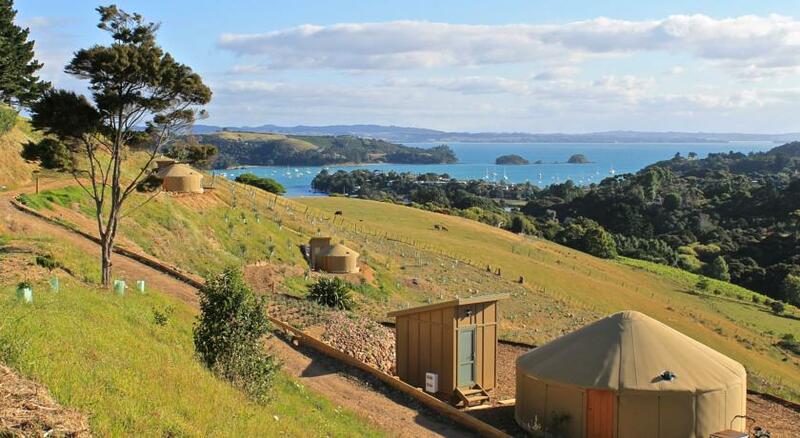 Waiheke Island, a little more than a half hour ferry trip from Auckland, is well known for its beauty and peaceful charm. 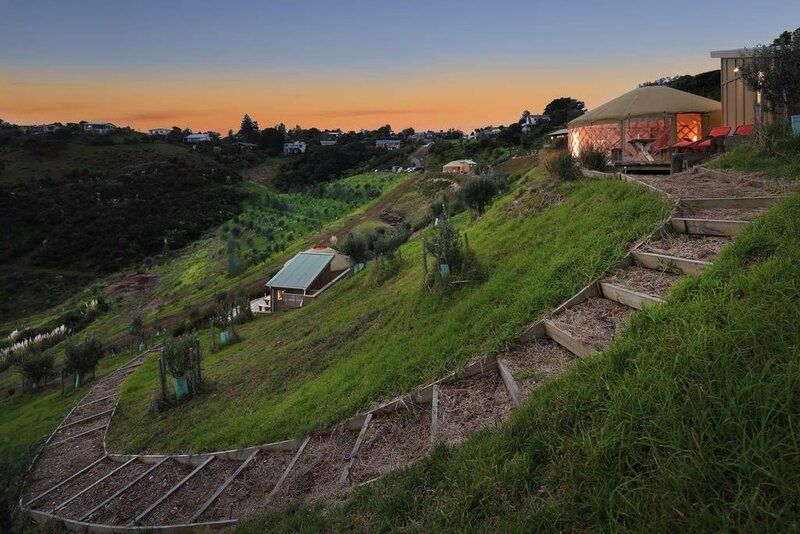 The farmstay sits on a hill overlooking the lovely Putiki Bay and the whole area is equally scenic. 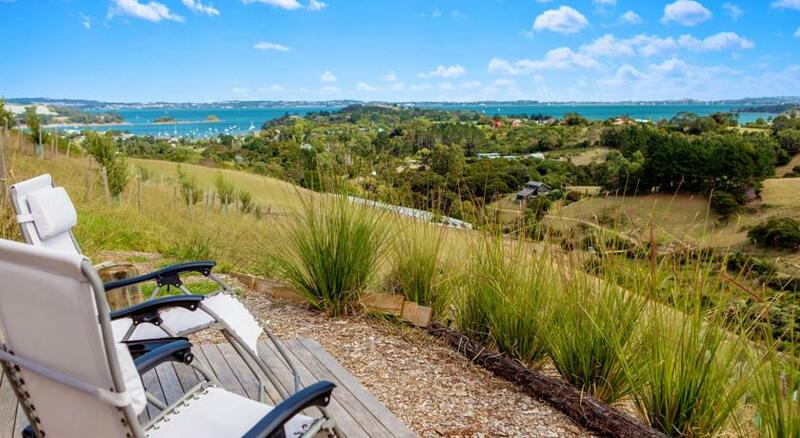 You’ll find it great for hiking, cycling and of course swimming; with the nearest beach, Palm beach, only about 10 minutes walk away. 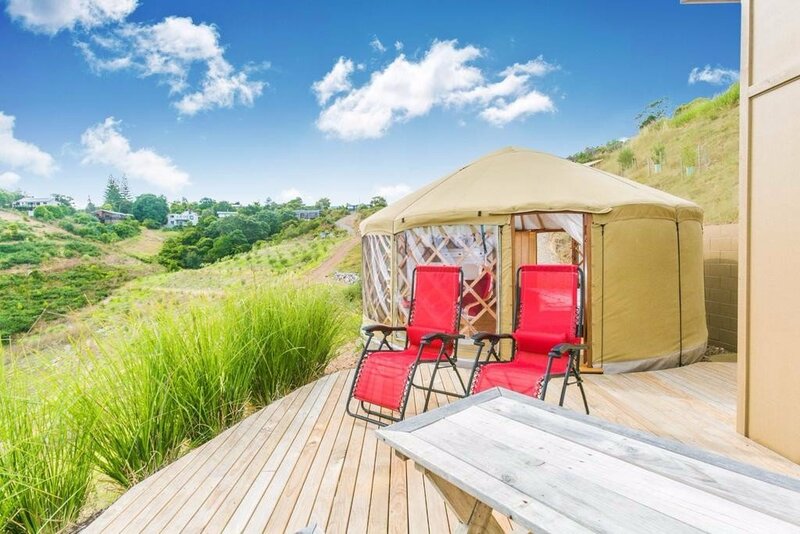 And, if that sounds a bit too relaxing for you there is always the EcoZip adventure park in Onetangi, about 10 minutes away by car. 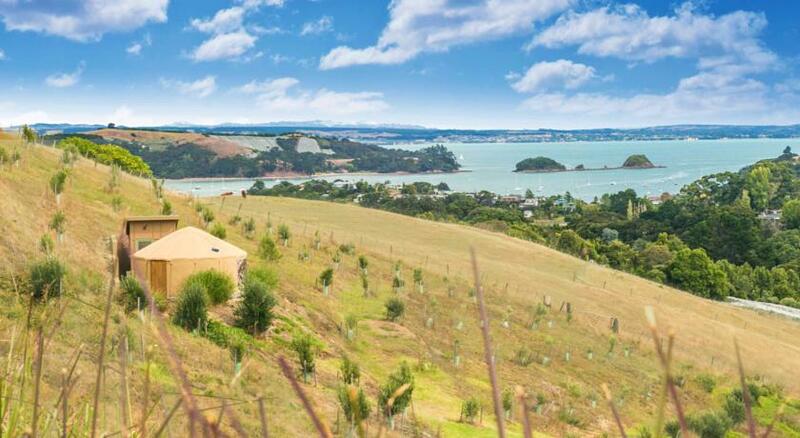 Waiheke is also well known for its vineyards and you can find plenty of wine tourism here. 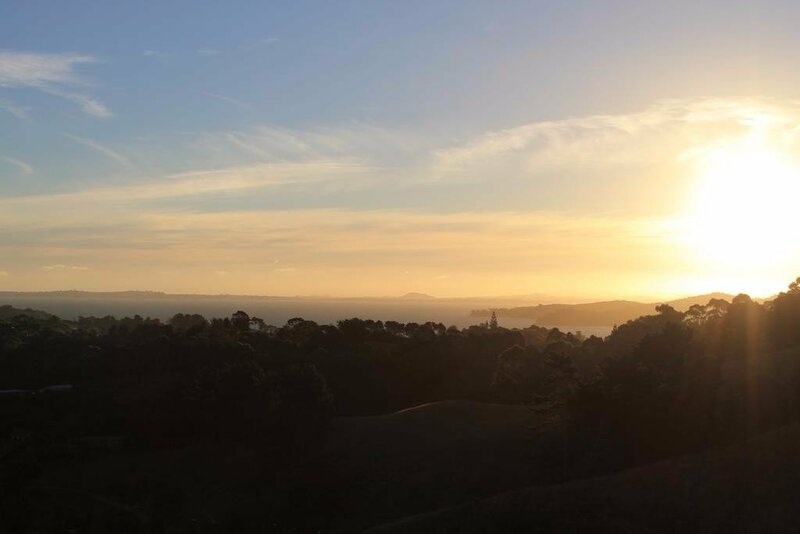 The Hauraki Gulf Marine Park is also an interesting diversion, a protected area for marine life it covers around 1.2 million hectares of Waiheke including over 50 smaller islands. 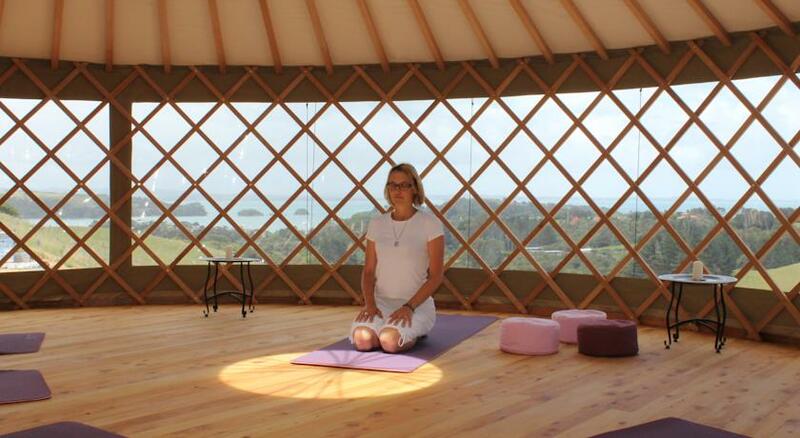 Many of the islands are off limits without a permit due to the presence of endangered species but you can arrange boat trips for trekking visits to many of the others.